The Blue Bar at The Berkeley teamed up with Igloo and our friends at sensory reality specialists Sensiks to create ‘Out Of The Blue’. The idea is to take guests on an explorative journey of taste by stimulating the senses through a combination of the finest ingredients and Shared VR. Up to four guests at a time can try curated cocktails in a secret space within the heart of the hotel where Igloo technology, culinary science and mixology meet to enhance the perception of flavour through sight, sound and scent. 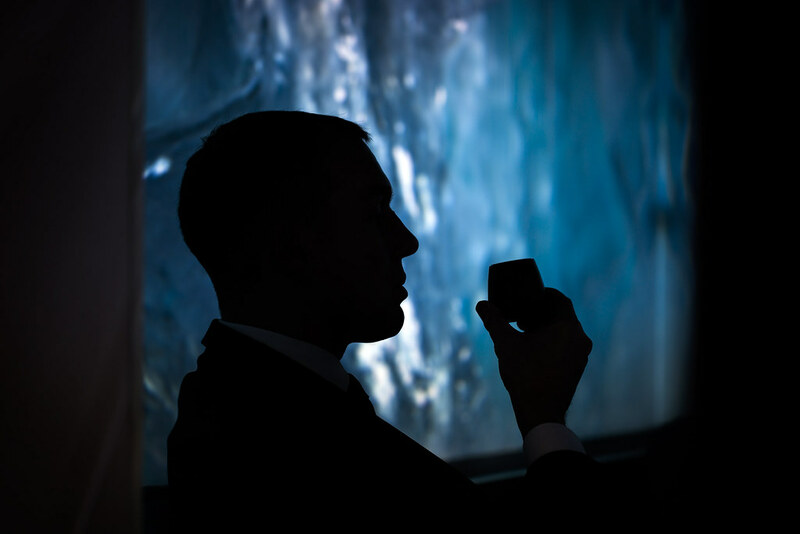 Specially-designed film and molecular scents combine with bespoke cocktails, to craft a bar experience which blurs the lines between scent, sight and taste, creating a synesthetic immersion that’s completely new to the cocktail scene.